Last years we took part of many theater productions. When we got asked to participate in a theater production, based on the music of Arjen Lucassen we got a bit more exiting. 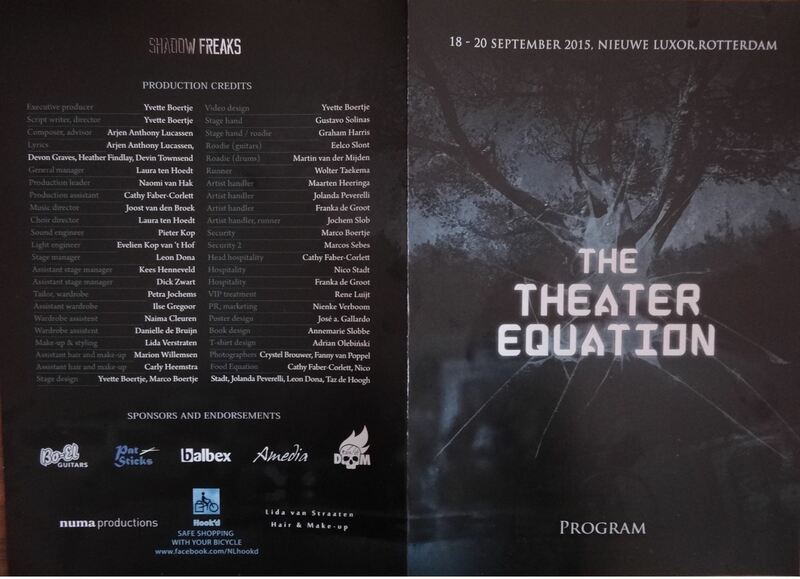 We are very proud of the fact that we were one the sponsors/endorsers of "the theater equation", based on Arjen Lucassen' Human Equation. 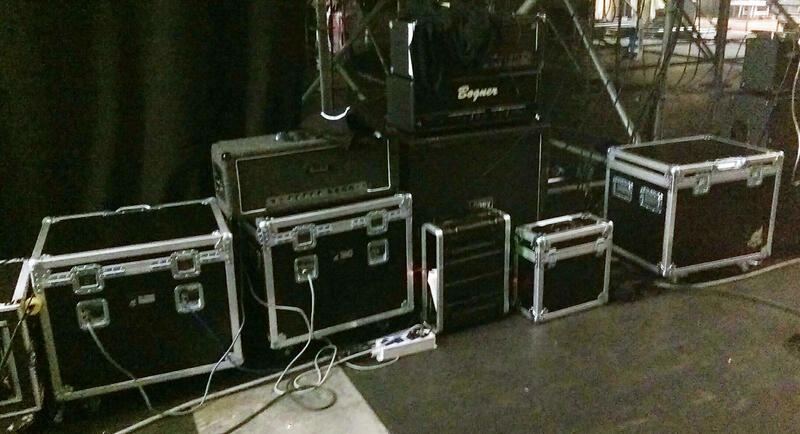 We delivered three Box of Doom units, used by Marcel Coenen and Freek Gielen. Seen the fact that it was a full scale theater production with many vocalists, and string orchestra it was very important to have ballanced sound level onstage. So our Box of Doom units did exactly were they are made for. This production was limited to four shows, spread over the weekend 18-19-20 September. I you take a look at the long list of artists participating in this production, it is almost impossible to schedule a longer period, due to availability of the artists. With mearly a week of preparation, rehearsals the show went on stage and impressed a total of 6000 people. (four times a sold out Luxor Rotterdam). neatly tucked away, below stage.. doing their work, being quiet. We are pleased that we could be a part of this production. Some names of the cast: James LaBrie (Dream theater), Marcela Bovio (Stream of Passion), Irene Jansen, Magnus Ekwall, Heather Findlay, Devon Graves (Psychotic Waltz), Eric Clayton, Anneke van Giersbergen, Mike Mills and the Epic Rock Choir. These are only the singers... don't forget about the amazing band: Ed Warby, Johan van Strattum, Marcel Coenen, Freek Gielen, Erik van Ittersum, Ruben Wijga, Jeroen Goossens, Ben Mathot, Maaike Peterse..